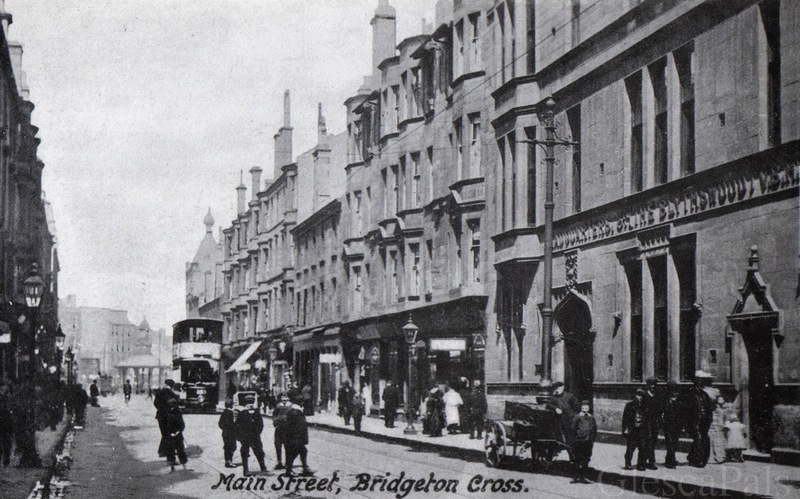 Bridgeton Main Street, c1906. Looking towards Bridgeton Cross, see the umbrella in the background. The building on the right belonged to the local volunteer corps, the 7th (Blythswood) Battalion of the Highland Light Infantry. 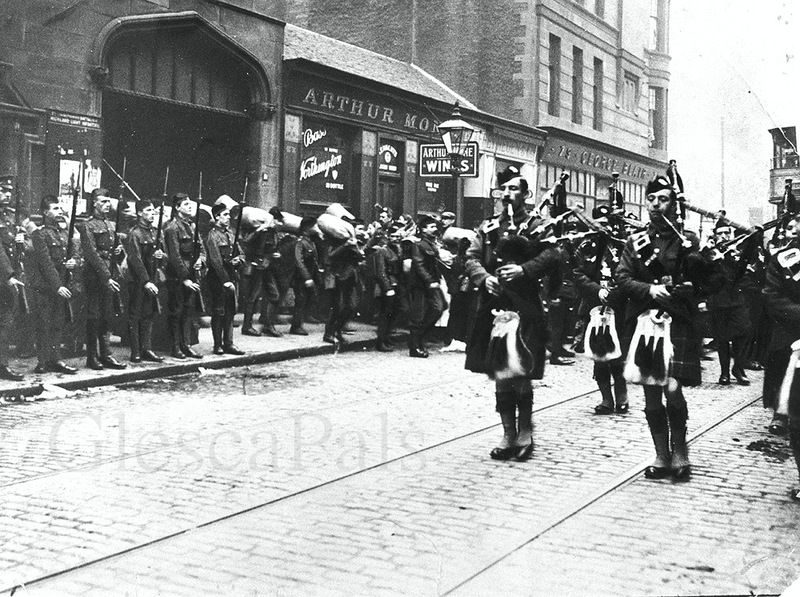 The 1/7th (Blythswood) Battalion Highland Light Infantry leaving their headquarters in Main Street, Bridgeton. The battalion served with the 52nd (Lowland) Infantry Division at Gallipoli and in Egypt, Palestine, France and Belgium during the First World War. In 1920 a Celtic cross was erected on Glasgow Green in memory of the members of the battalion who fell in the First World War. .Glasgow man, Private George Rodgers of the list Regiment (later the HLI) and holder of the Victoria Cross. 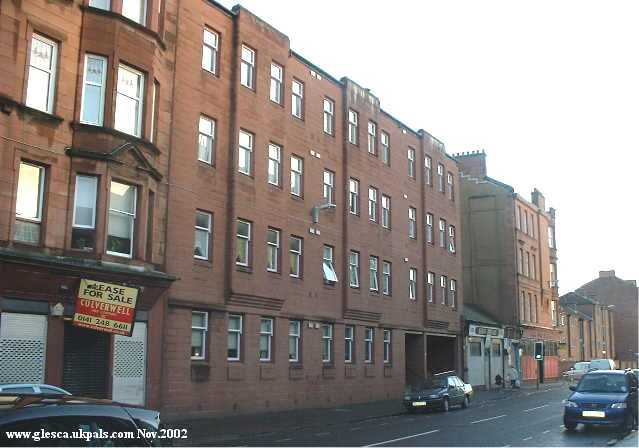 From the old photograph above the two pubs and corner tenement at Muslin Street have survived along with the tenement building to the left of the old hall. We reckon these new flats that replaced the Territorial Hall opened around 1980.